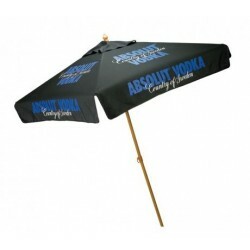 7” wood square promotional market umbrella with 5 colors – brings that desired attention towards your business. 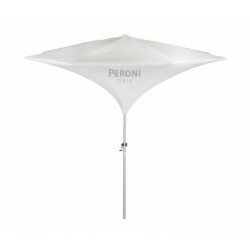 This umbrella can be distinguished by its extremely decent features such as its polyester cover with wind vents, and 7” wooden stand. 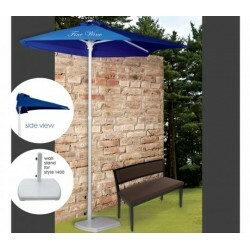 This heavy 8 oz umbrella can easily reform the surroundings where it is affixed. 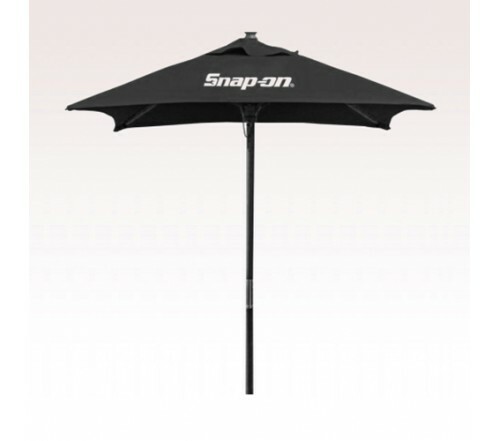 A logoed custom 7” wood square promotional market umbrella offers cooling and shading in the areas with extreme temperature conditions and helps marketers to save on big budget marketing billboards. 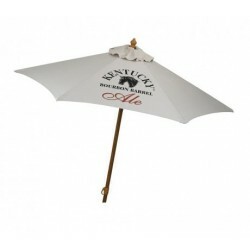 A personalized 7 “wood square market umbrella can be sought in 5 colors – black, hunter green, khaki, red and white. By now many marketers have grown up believing that this umbrella helps everyone to enjoy their outdoor indulgences without the thought of skin cancers ( caused due to long period of outdoor stay) wavering over their minds. Product Size: 45 1-2" x 5 1/4" x 5 1/4"